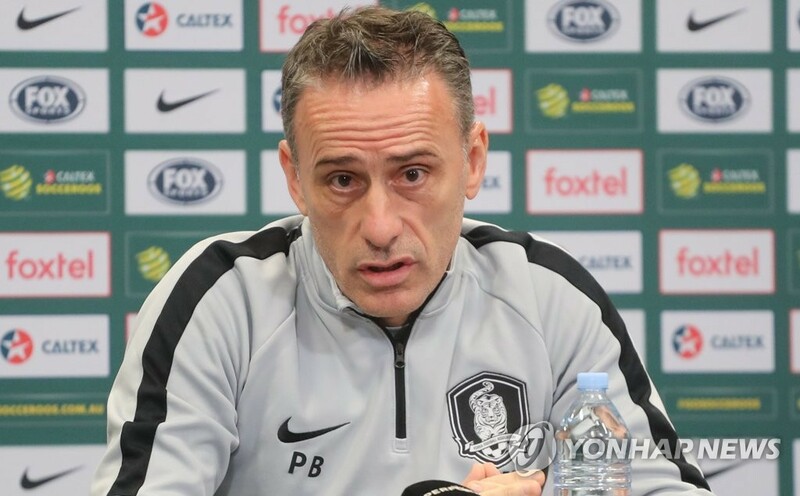 BRISBANE, Australia, Nov. 16 (Yonhap) — South Korea national football coach Paulo Bento said Friday that his side’s style of play will not change when they face Australia in a friendly match. South Korea, 53rd in the latest FIFA rankings, will face 42nd-ranked Australia at Suncorp Stadium in Brisbane, Australia, on Saturday. South Korea are on a four-game unbeaten streak since Bento took over the team in August. The men’s national football team beat Costa Rica 2-0, and collected a scoreless draw with Chile in September. Last month, South Korea edged out Uruguay 2-1 and played to a 2-2 draw against Panama. But all four matches were played at home. The friendly against Australia will be the first away match for Bento’s South Korean team.